F8DZY "Ham Radio only...": VK3CWB in the mail, N5PHT IOTA NA-143 Clublog Match & P4/DL4MM on LotW ! 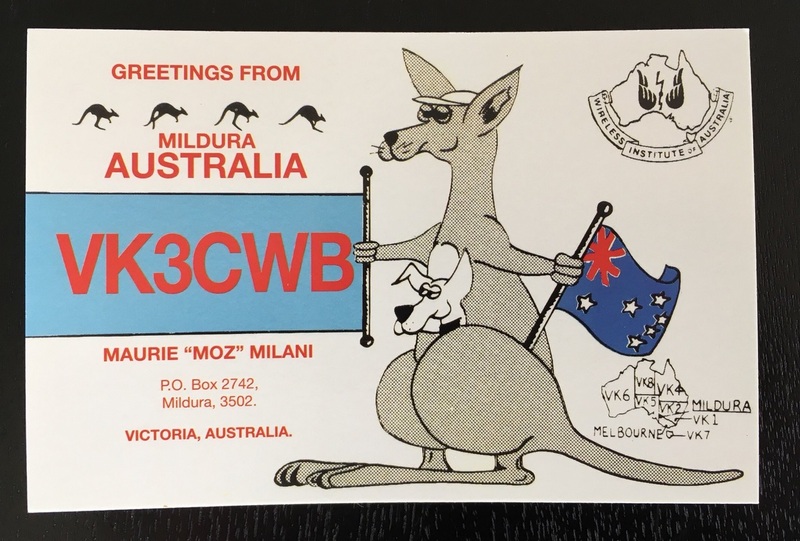 VK3CWB in the mail, N5PHT IOTA NA-143 Clublog Match & P4/DL4MM on LotW ! - Moz VK3CWB helped me to confirm Australia on 80M CW (my 152nd confirmed DXCC on this band) ! - N5PHT was worked when active from IOTA NA-143 Galveston Island and thanks to this new Clublog matching, this is my 543rd confirmed island ! 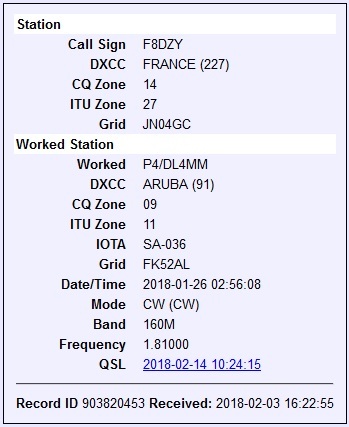 - And P4/DL4MM Aruba just appeared on LotW, confirming our 160M CW QSO and my 93rd DXCC on Top Band ! 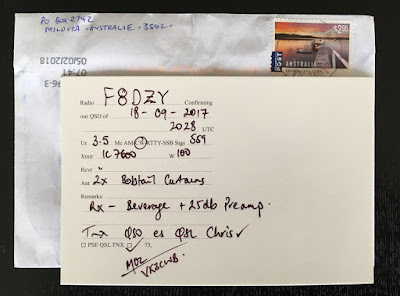 RI1F EU-190 & DU9/R4WAA OC175 in the mail ! YB8RW/P IOTA OC-145 Ternate Island in the mail ! VK9MA Mellish Reef in the mail !